Earthquake is a natural disaster. 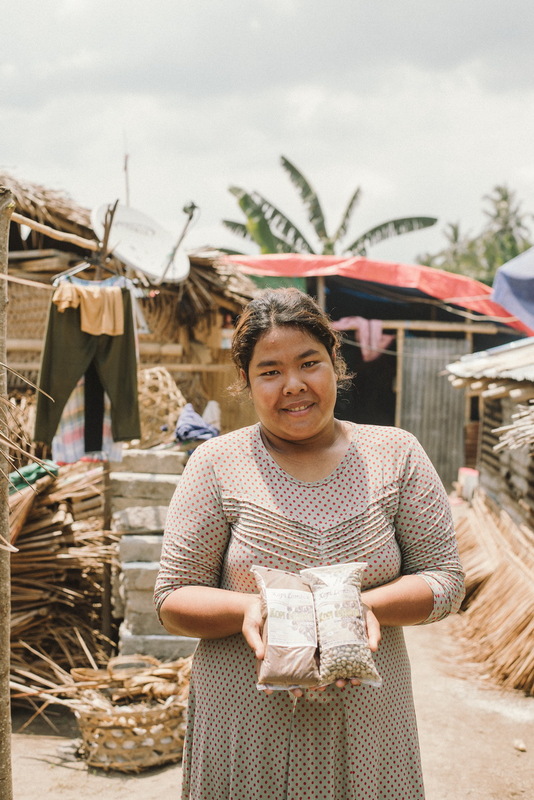 But to a small group of women in North Lombok, earthquake is a blessing in disguise. According to National Disaster Management Agency (BNPB), Lombok’s August 2018 earthquakes caused damage to 71.962 housing units, 671 educational facilities, 52 health facilities, 128 facilities and infrastructure facilities. Over 460 people died, 7.733 victims were injured, and 417.529 people were displaced. Estimates of collateral losses carried out by BNPB reached trillions. This figure did not include losses due to significant decrease in tourism. 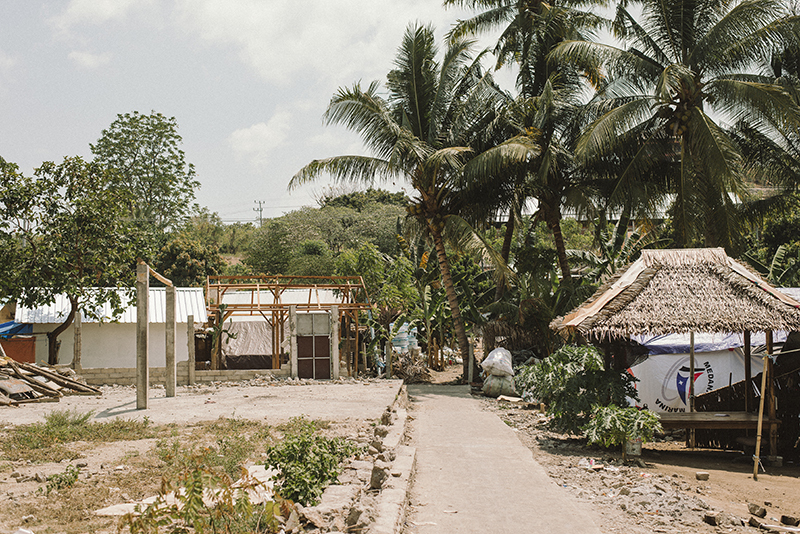 In the midst of this calamity, survivors worked hand in hand to rebuild their lives, including a group of women in Medana, a village in North Lombok. Being aware of the economic losses, dozens of women did not remain silent. Armed with day-to-day experience manually processing and brewing coffee for the family, they chose Robusta as their product to sell. After the earthquake, they gathered at the KLU Regional Government Field, Teluk Dalam Kren Hamlet, Medana Village, Tanjung District, North Lombok at 9 am. They processed the coffee here because their houses were severely damaged. From 9 am until afternoon, they gathered, sorted coffee, roasted, and bagged it. While roasting and preparing coffee they also shared stories, and empowering and encouraging each of the members that came from four different neighborhoods. “Through this earthquake, we have become closer. The whole village experience stronger bond. We don’t only take this as a disaster, but we also try to see it from a positive perspective,” said Mrs. Meijta Ancelino, leader of this group. Moving forward on your own took tremendous amount of time and energy, so they formed a group called Miss Pacu, which in Lombok means strong women. Few days later, they realized that this name is taken, so they made an agreement to choose a new name; Harapan Bunda (Mothers’ Hopes), which reflects their hopes for a better tomorrow. Harapan Bunda directly bought coffee beans from coffee farmers in North Lombok, not through collectors. There was not much coffee produced after the earthquake. They also borrowed roasting tools from volunteers because theirs were lost and damaged. Out of 5 kg of coffee beans they bought, they sorted them again based on the ripeness level. All of these steps taken to process coffee were using traditional method. After they bought the coffee beans, they washed, dried the beans typically for one day then roasted them. Here, these women considered the level of maturity. For example, to roast 1 kg of coffee, they would need to divide them into three different parts so they can cook evenly. It’s a long process indeed but that’s what it took to roast coffee traditionally. In addition to the roasting process, these mothers also mixed coffee with ingredients that are local to Lombok. For example, people in Lombok will often add chocolate and sand when coffee beans are roasted to reduce some bitter taste commonly found in Robusta coffee. Another way is to brew coffee with coconut water because according to Ms. Meijta, coconut water makes coffee taste better, and this brewing method is a favorite among mothers. To target a wider market, they also sold green beans and small-size ground coffee for Rp 2.000 for the surrounding community. People in Lombok will often add chocolate and sand when coffee beans are roasted to reduce some bitter taste commonly found in Robusta coffee. Another way is to brew coffee with coconut water because according to Ms. Meijta, coconut water makes coffee taste better, and this brewing method is a favorite among mothers. When we met Ms. Meijta, she expressed her gratitude that they are able to go through the anxiety phase after earthquake together. There were many challenges to building this business, from thinking about packaging innovations to marketing methods. Today, the biggest challenge to them is packaging. Mrs. Meijta believed that their coffee can compete in the market; they only need to think about some attractive packaging in which can help increase selling, so that they can place them at various coffee shops. But they were certain of one thing, which is the name of their coffee: Lindur coffee. In Lombok Lindur means earthquake. Because even though the earthquake was a natural disaster, the earthquake was also a blessing in disguise that united them. In the midst of this tragedy, they are grateful for through the earthquake, they can get together to encourage and empower one another. PUTU JULI SASTRAWAN is currently taking a Master’s degree for Linguistic and Literature Studies at Udayana University. He writes a collection of short stories titled Lelaki Kantong Sperma (2018) and is the catalogue editor at Minikino Film Week 4; International Short Films Festival (2018).